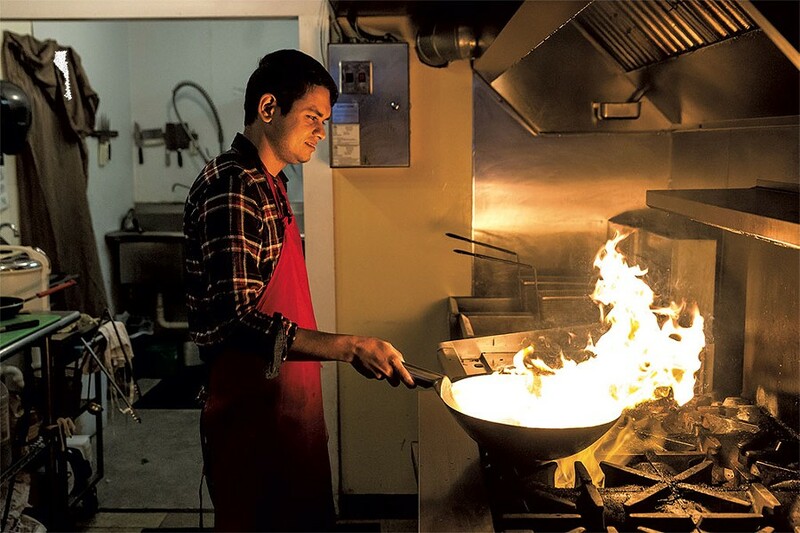 Visit the Spice Traders' Kitchen, a cozy Winooski joint serving southeast Asian cuisine, and you'll see owners Alyssa Vigneault and Sudershan Adhikari working together as if they've known each other their entire lives. Standing side by side, woks in hand, they seamlessly match each other's quick, measured actions. Vigneault eyes her wok, gives it a toss and pivots, grabbing a handful of vegetables. With a single motion, she's added carrots and some zucchini. Another pivot, and she's dropping more carrots in Adhikari's wok, along with some cabbage. Without looking up, he gives his wok a toss. Flames jump toward the ceiling, but Vigneault doesn't notice; she's busy tossing her own pan. Despite what their perfect coordination might suggest, Vigneault and Adhikari aren't husband and wife. Their friendship doesn't go back many years. In fact, they've worked together for a little more than four months. A decade ago, the two were worlds apart: Vigneault was in her native Massachusetts, while Adhikari was in a refugee camp in southeastern Nepal, waiting to come to America. His heritage is reflected in the menu at Spice Traders — which, like a growing number of restaurants in the Burlington area, offers a mix of Asian cuisines. Every day but Sunday, customers can find samosas alongside chow mein, Vietnamese spring rolls and Chinese egg rolls. 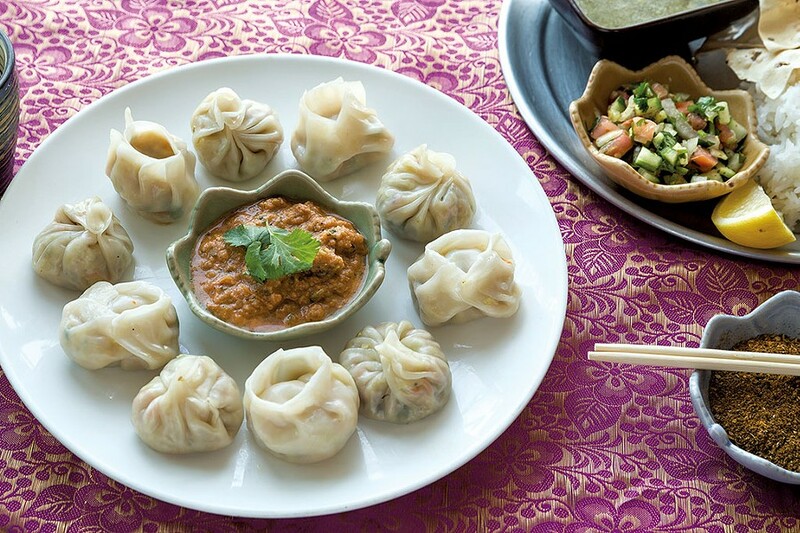 Located in the 212 Main Street spot formerly occupied by Dharshan Namaste Asian Deli, the restaurant also highlights a strong selection of Nepalese dishes: dal bhat, beef gundruk soup and momo. Adhikari, 28, was born in a small town in Bhutan. Like many of the Bhutanese refugees now in the Burlington area, he and his family were forced to leave when the country's government imposed strictures on ethnic Nepalese citizens, even those whose families had immigrated to Bhutan long ago. Adhikari's family was forcibly relocated to a refugee camp in Nepal. They waited 22 years to move to the U.S.
On a typical day in the camp, Adhikari recalls, he and his five siblings helped their mom with the cooking, went to school, did homework and sometimes played soccer. His wife remains there, and he's waiting for the day she'll be able to join him. "Oh, the restaurant will be closed the day she arrives," says Vigneault. Despite that separation, Adhikari says he's happy to be here: "I like the people in Vermont. They are all so friendly and welcoming." And he likes serving them dishes he learned from his mom, who's now also in Vermont. "Everything she makes, I love," he says. 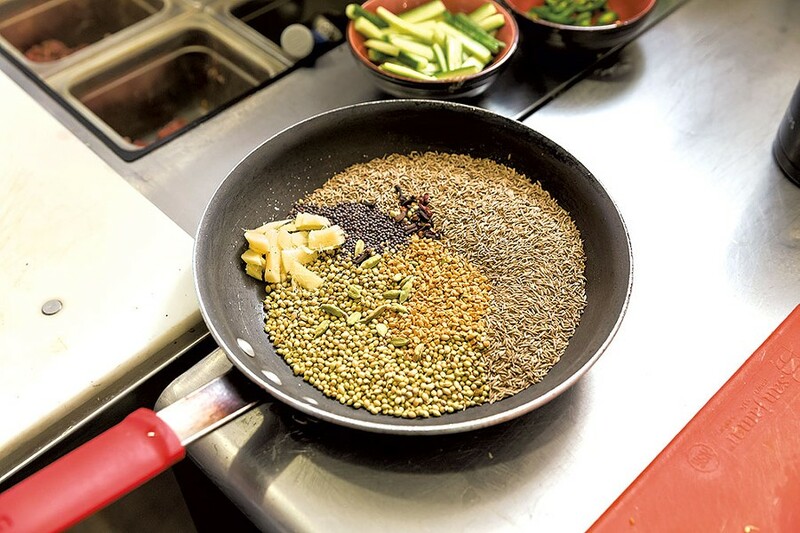 Spice Traders' menu is influenced by the decades Adhikari spent in Nepal, where rice and spice are staples. His tomato-forward curry — full of spice, heat and coconut — tastes neither Thai nor Indian. Made of blended tomatoes, onions and coconut milk, it's simmered for hours, with spices added toward the end of cooking so they don't lose their intensity. He describes it as a Burmese curry with Nepalese spices — a dish that's uniquely Adhikari and available only in Winooski. The menu is redolent with spices and herbs: cilantro, turmeric, coriander, cardamom, ginger — and, most prominently, chili powder. Made in-house each morning, this powder is Adhikari and Vigneault's secret weapon, and they know all too well to use it with extreme caution. "See that?" Vigneault says, indicating a pan to which she's just added an innocent-looking amount of red powder. "We know not to breathe in when we toss the pan." The least of her worries is sneezing. The chili powder isn't the only spice made at the restaurant. Mornings start with the staff standing in front of the stove and roasting spices, then grinding and blending them. In Asia, each family has its own recipe for curries and chili powders, and Vigneault wanted Spice Traders to have its own unique mixes, too. Every dish is made to order with a variable heat level. Vigneault handles the orders for diners who don't want to cry while they're eating. If a customer wants a dish seriously hot, though, she turns to Adhikari and says, "All right, you do it." Adhikari offers some advice — or, rather, a dare — to customers of that persuasion: "If you want it hot, order it 'Nepali hot.'" Based on the slow burn of the chow mein I tried, I'd expect Nepali hot to feel like being hit with a baseball bat made of chili peppers and then dropped in a volcano. 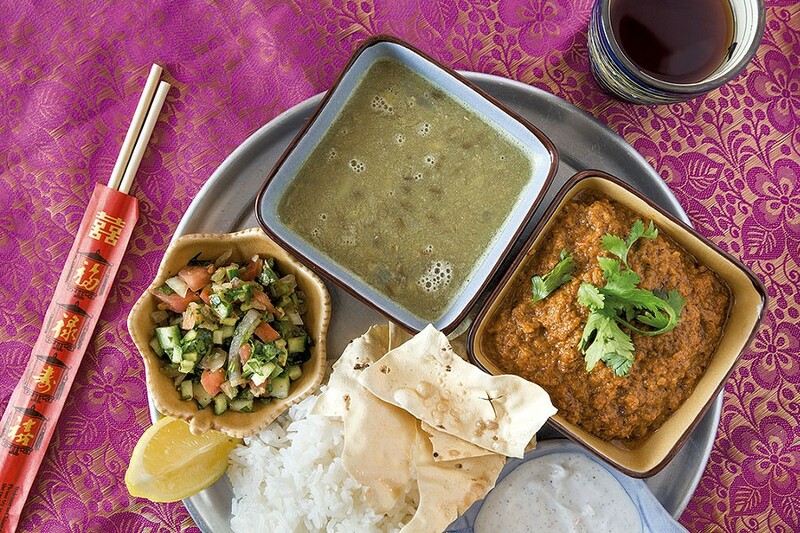 For diners who want to sample several Nepalese foods, the Daal Bhat Platter is the way to go, offering dal (lentil soup), rice, achar (pickled cucumber salad) and a choice of curry (pork, chicken or vegetable). While you can taste Adhikari's Nepalese upbringing here, the platter was the brainchild of Vigneault, 27. As an employee of the Vermont Refugee Resettlement Program, she ate such Nepali samplers many times in refugees' homes and wanted to bring that cuisine to the menu. Vigneault met Adhikari during one of those home visits. She watched as he tried various jobs in the U.S.: driving trucks and taxis, working in factories. One day, he told Vigneault that he had a new idea: "I want to open a pizza shop." The pizza-shop part didn't stick, but the idea of a restaurant did. Like Adhikari, Vigneault didn't immediately gravitate toward food. She also didn't set out to work with refugees. With a scholarship to Elon University in North Carolina to study teaching, she thought her path was set. Then she went to Lithuania to study abroad. While working with a watchdog group, Vigneault toured a refugee camp to see if its conditions were livable. She recalls walking down a hall with an AK-47-toting guard, seeing barbed-wire fences and a gym. The administrators were clearly trying to suggest that the camp was well outfitted, but the gym looked like it hadn't been used once. "The stories of what these people were fleeing, what they had endured, and how lengthy the process of applying for refuge in Lithuania was — it was a life-changing experience for me," Vigneault remembers. Back at Elon, she switched paths and started volunteering with refugees, a trajectory that eventually brought her to Vermont and the VRRP. When she visited refugees' homes, Vigneault notes, food was always at the center. "Every time I visited a family's home, they would welcome me with food. Food was a way of connecting across cultural and linguistic barriers." Having worked her way through school as a hostess and waitress, Vigneault had 14 years of experience in the restaurant industry when Adhikari approached her with his pizza-shop idea. As the idea evolved to that of an ethnic restaurant, she realized she could stay connected with the refugee community while sharing the food experiences she'd had with others. 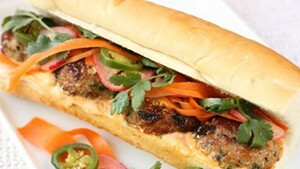 Spice Traders reflects those diverse flavors, with its namesake spices the common theme. And the local community has been welcoming. Walk in on a Wednesday night, and you might see Vigneault tossing a stir-fry while addressing a customer by name: "Robert, you want extra hot sauce with this?" When I stopped at Spice Traders for lunch on a Thursday, the four tables were taken. Adhikari shared the kitchen with one of his employees, popping out to take orders and ring up takeout customers. He handled the pressure with quiet composure, making the busy job look easy as patrons continued to file in. It's hard to believe that only five months ago, Adhikari and Vigneault were offering friends beer in exchange for their help painting the restaurant. Even harder to grasp is that, just a few years ago, Adhikari was a science and math teacher in Nepal, eating chile-spiced mushrooms similar to the ones he now serves in Vermont. To a diner, it seems that he's been running this warm, friendly neighborhood joint forever. The original print version of this article was headlined "Spicing Up Winooski"